ONGC has until now been a zero-debt company and this is will be the first time ever that the company will be going in for borrowing to finance its investment. 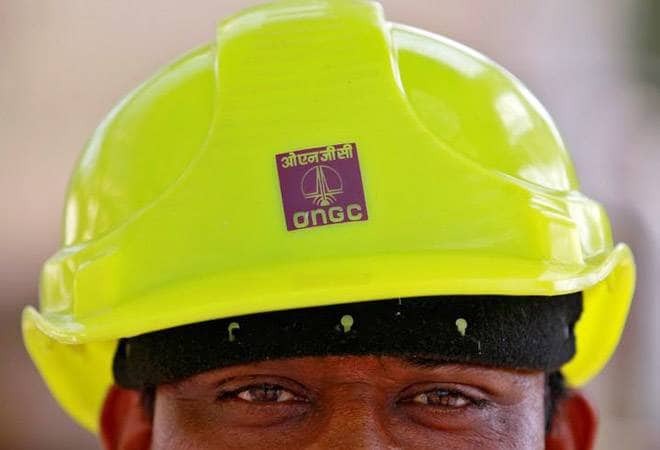 Public sector upstream giant Oil and Natural Gas Corp (ONGC) has decided to increase its borrowing limit from Rs 25,000 crore to Rs 35,000 crore in order to fund the acquisition of Hindustan Petroleum Corporation (HPCL) for which it has agreed to pay Rs 36,915-crore to the government. ONGC has until now been a zero-debt company and this is will be the first time ever that the company will be going in for borrowing to finance its investment. The acquisition would create India's first integrated oil company. This would be ONGC's biggest acquisition and second buyout during the current financial year after its Rs 7,738 crore acquisition of an 80 per cent stake in Gujarat State Petroleum Corp's KG basin gas block. The company had on Saturday announced buying of government's 51.11 per cent stake in India's third largest state-owned oil refiner and marketing company HPCL for Rs 473.97 per share in an all-cash deal that is to be closed before the end of this month. ONGC chairman and managing director Shashi Shanker said the ONGC board has approved raising of the proposed debt limit from Rs 25,000 crore to Rs 35,000 crore. ``This will be the company's first ever debt. We will use our (Rs 12,000-13,000 crore) cash first and then the liquid assets and debt will be last,'' Shanker told journalists. ``However, this order can change, because we won't sell the liquid assets in distress. Also, we have offers for over Rs 50,000 crore debt at very competitive rates, both foreign currency and local,'' he disclosed. He said the two deals would not affect the company's overseas acquisition plans as with a consolidated balance sheet of ONGC and HPCL, the company would be better equipped to take higher risks and go in for better assets. ONGC also holds a 13.77 per cent stake in Indian Oil Corp (IOC), which at Friday's closing price is worth Rs 25,790 crore. Besides, it has a 4.86 per cent stake in GAIL India Ltd, which is worth over Rs 3,854 crore. Shanker said the company paid less than the acquisition price recommended by the company's valuation adviser, EY. ONGC is paying 14 per cent higher than Friday's closing price of HPCL and over 10 per cent of the 60-day weighted average of the HPCL scrip. Sources said while the government was seeking as much as Rs 69,000 crore for selling controlling stake in HPCL, EY had put HPCL's valuation at Rs 475 a share plus a premium for getting the controlling stake. The stake sale will help the government cross its disinvestment target for the first time and would help stick to the fiscal deficit target of 3.2 per cent of GDP. The government had set a target of Rs 72,500 crore from disinvestment proceeds this fiscal. Before the ONGC-HPCL deal, it had collected Rs 54,337.60 crore. Shanker said the company will also consider merging its oil refining subsidiary Mangalore Refinery and Petrochemicals Ltd (MRPL) with HPCL at a later date. While ONGC holds 71.63 per cent stake in MRPL, HPCL has 16.96 per cent. With a turnover of Rs 2,13,489 crore and profit of Rs 6,502 crore during 2016-17, HPCL ranks at 384th position in Fortune Global 500 and 48th place in Platts 250 Global Energy Companies. ONGC is the largest producer of crude oil and natural gas in India, contributing around 70 per cent of domestic production. Based on Friday's closing price of Rs 416.55, HPCL has a market capitalisation of about Rs 63,475 crore. At this price, the government's 51.11 per cent stake is worth Rs 32,442 crore. Shanker aid the company's bid for HPCL was accepted by the government on Saturday.